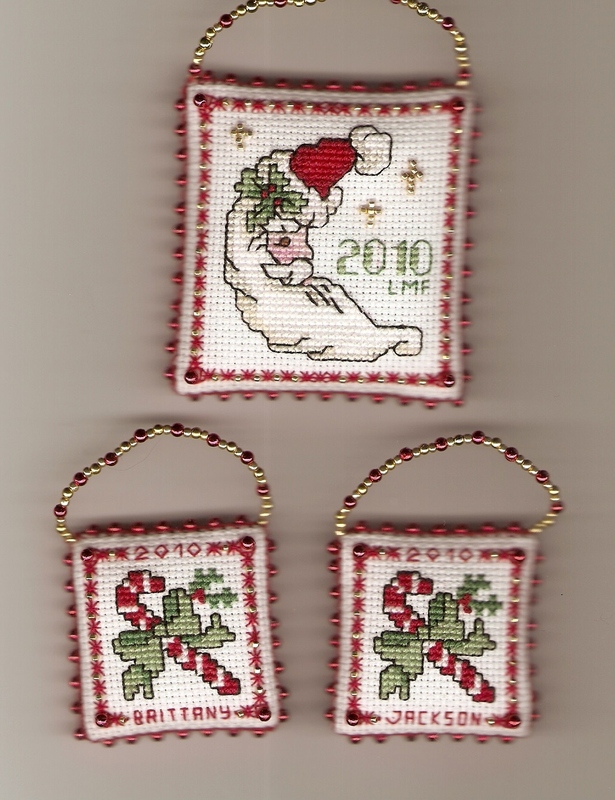 The candycane design is from the February 1989 issue of Leisure Arts, from the Calendar chart by Regina J Walters (Designs With Scissors). 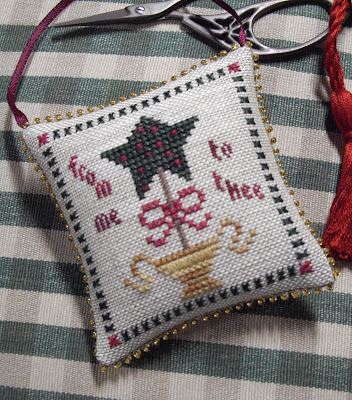 This ornament's design is from Vermillion's Alphabet Soup leaflet (Leisure Arts, 2005). It's stitched on 28 count jobelan. 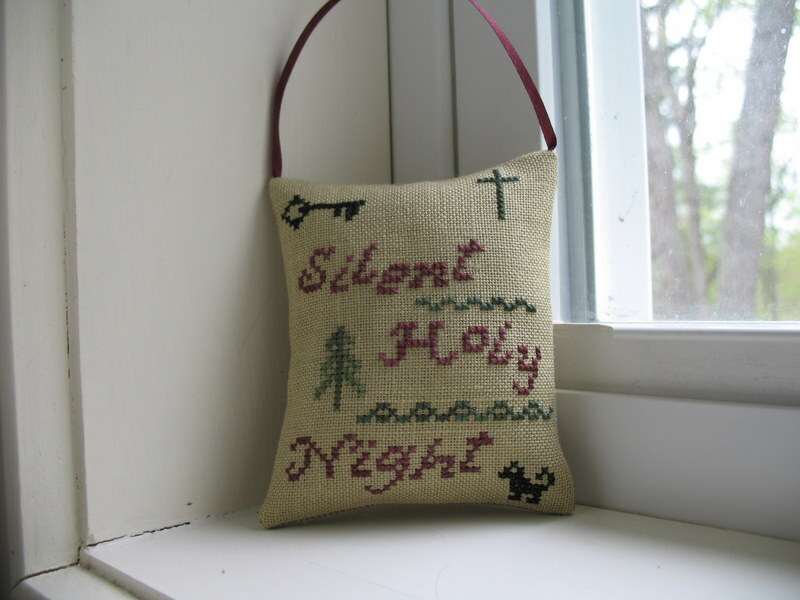 I've had this chart for many years. 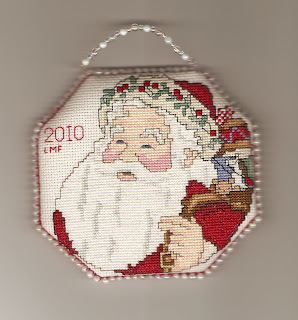 The design is Santa Face from LA 604 Here Comes Santa Claus (1988). 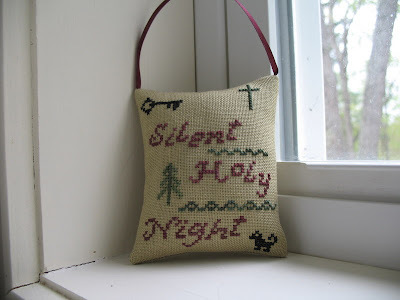 These are my first three completed ornaments for 2010. 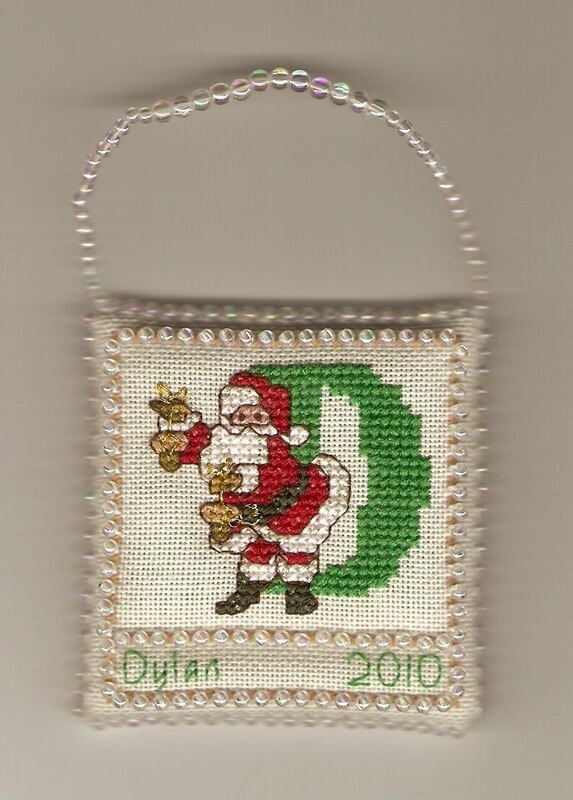 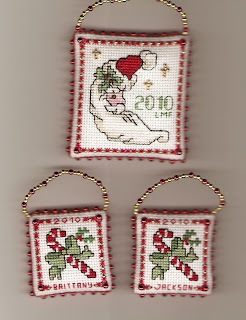 They are all stitched on 18 count Aida with DMC floss and Mill Hill beads plus some other non-branded beads. The larger ornament is adapted from a Barbara Mock design, from the 1992 Dimensions leaflet Christmas Quickies II. 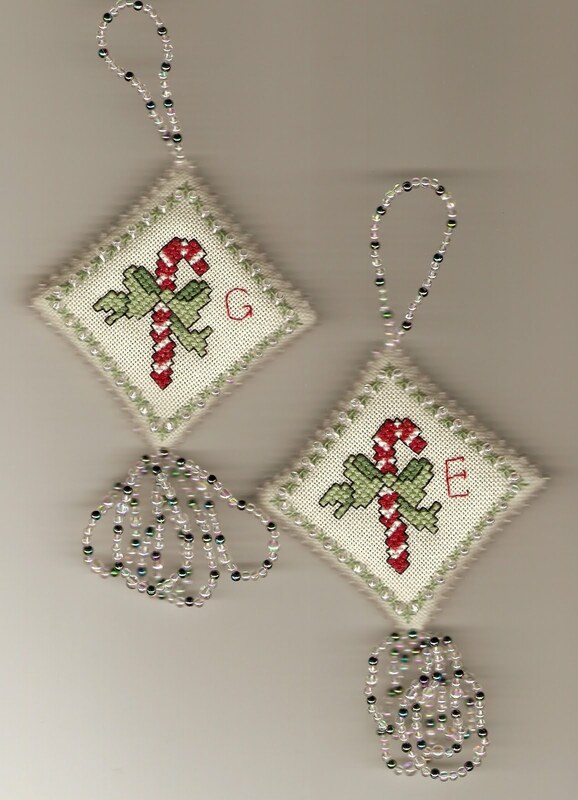 The candy cane ornaments are adapted from a Calendar design by Regina J Walters for Designs with Scissors in the February 1989 issue of Lesure Arts.